Back in the New York groove. Pizza perfectionist Anthony Mangieri is back in town and he brought Una Pizza Napoletana back with him! In 2004, Mangieri christened Una Pizza Napoletana in Manhattan’s East Village offering a menu of just four pizzas that were Naples style but, in his words, "better." Patrons were not permitted to substitute nor add any toppings. Heck, they even had to cut the pizza themselves (as they do in Naples). Mangieri's bravado and commitment to his art paid off as he couldn't raise prices high enough to keep the crowds away. Operating hours never needed to be posted because he closed when the dough inevitably ran out. Then he himself ran out. For the last nine years, Mangieri made San Francisco his home as he continued mastering his trade. He even added a fifth and sixth pie to the menu named in honor of his wife and newborn daughter. Now, he, his wife, his daughter, his pizzeria, his menu, his wood-fired oven, his perfectly sculpted pies, his superbly high quality ingredients, his generous post oven olive oil drizzle, and his naturally leavened crust are all back in New York City! 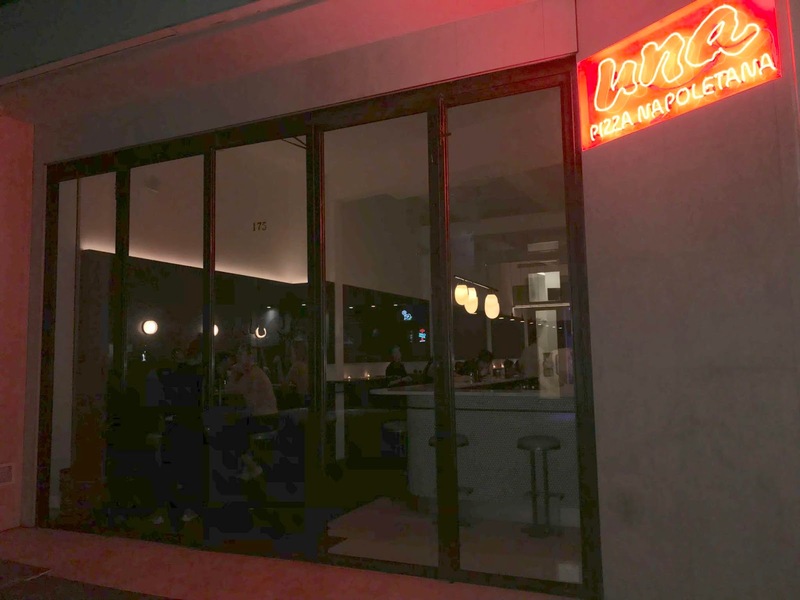 Look for the new, bigger Una Pizza Napoletana in the lower east side packing in the people from open till he runs out of dough. 1. Jon Bander won the New Yorker caption contest. 2. In addition to being an absolute hilarious improv comedian, Angela DeManti contributes to the online humor magazine called Reductress. Check out her work here. 3. Garrett Palm lives in Los Angeles, California but was in town doing production work. We went to Una Pizza Napoletana back in 2005 and again in 2006 and then again in 2007 so it was nice to come back together now that it's back in New York. 4. As of now, Robin Rothman has 17 tickets sold to opening night ahead of her upcoming Fringe NYC show. There are tickets still available so please come! Book your ticket now at her website (link here).